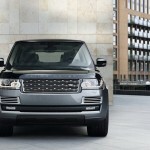 With a massive 550 PS, Land Rover’s masterpiece Range Rover SV Autobiography is the most powerful Land Rover ever. 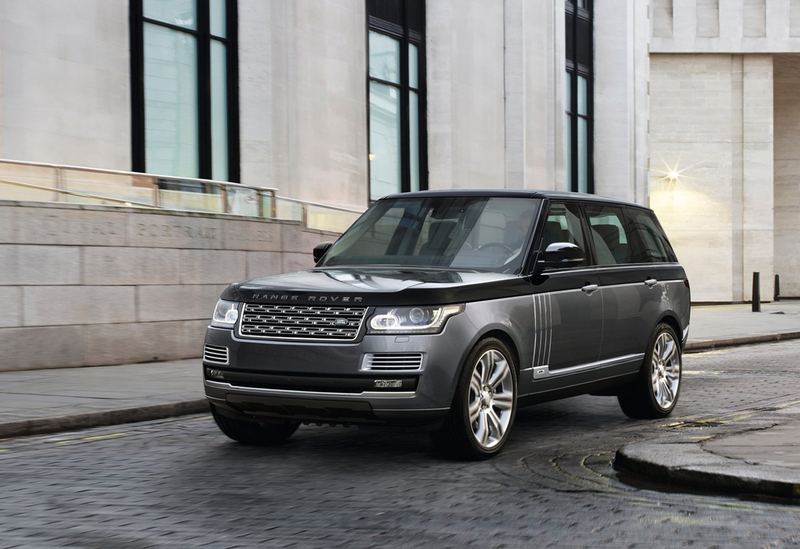 Additionally, it comes with Range Rover’s entire powertrain line-up. The eye-catching detailing in this new model and its impressive features are sure to win the hearts of uncountable customers. 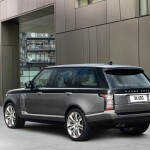 Buyers have two options- standard wheelbase and long wheelbase. 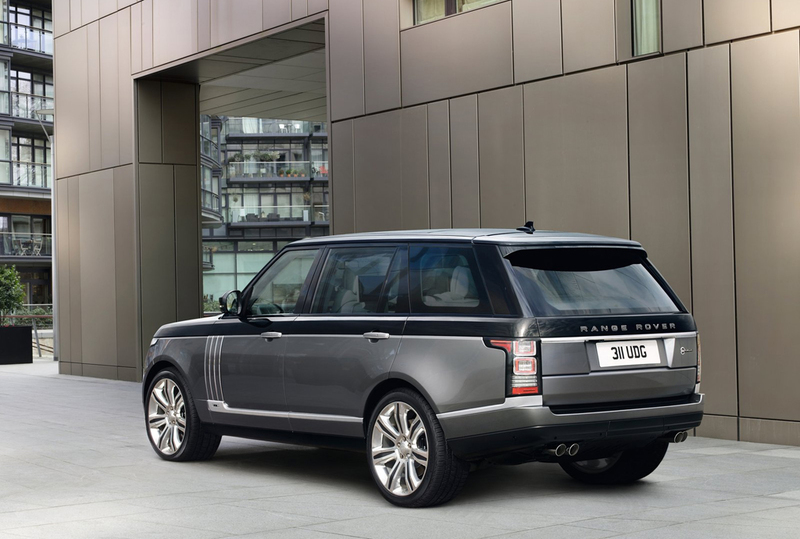 For the very first time in Range Rover, the buyers would be given Duo-tone color for the body. The upper body is in Santorini Black. 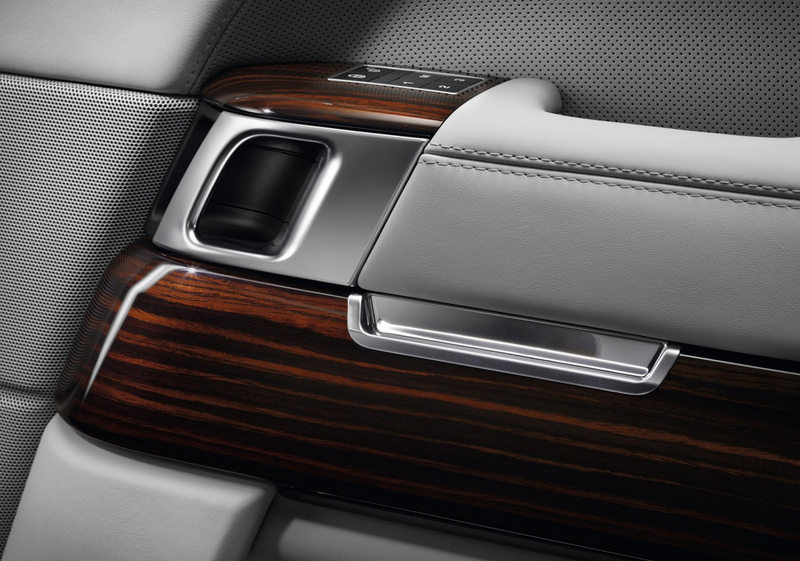 While for the lower body, nine types of shades are available so that customers can make their vehicle unique in a way they want to. 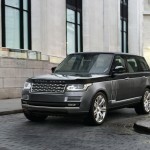 This new launch by the car makers has lettering ‘Range Rover’ on the bonnet. 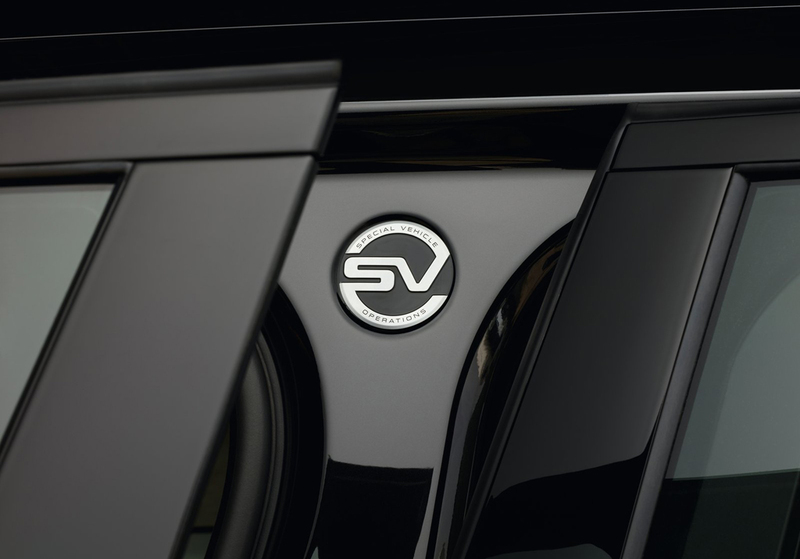 The tail gate flaunts the royal badging of SV Autobiography. 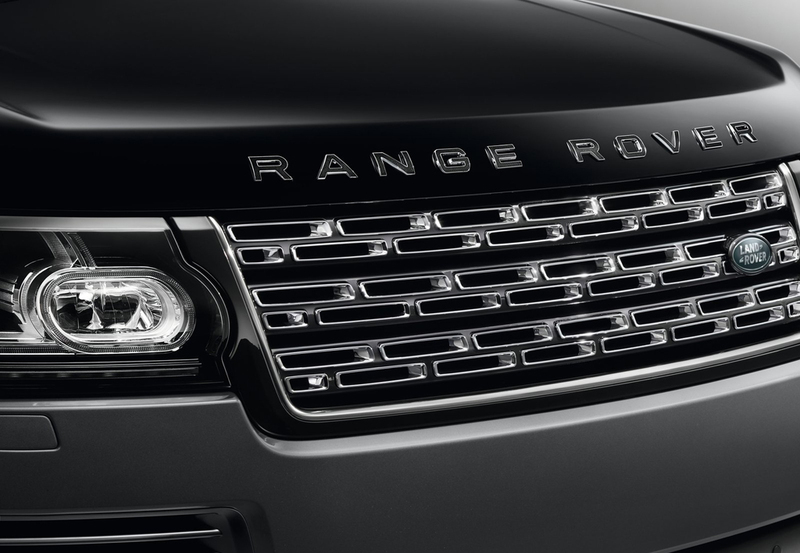 In the front fascia, the grille has Graphite Atlas finishing as well as polished chrome. 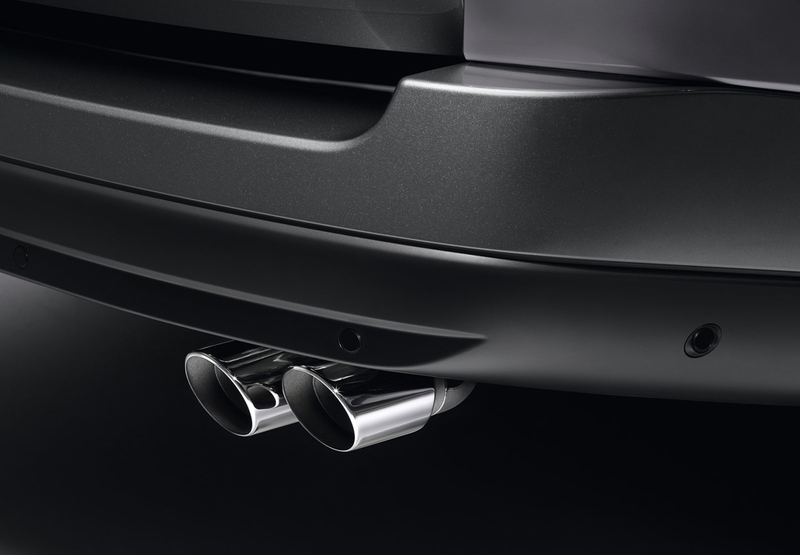 Another prominent feature is the quad tailpipes. 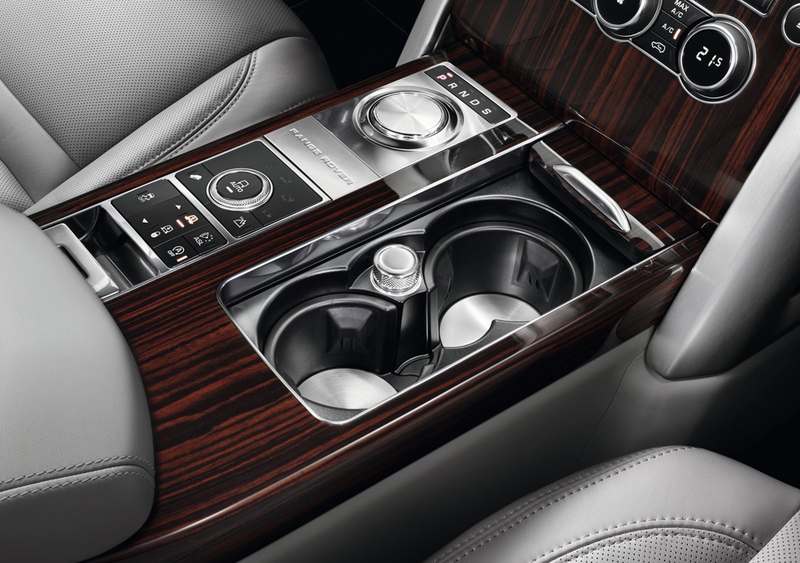 Inside, the drivers are offered rotary controls and start-stop surround. Solid aluminium has been used to machine them and the knurled design adds to the beauty. 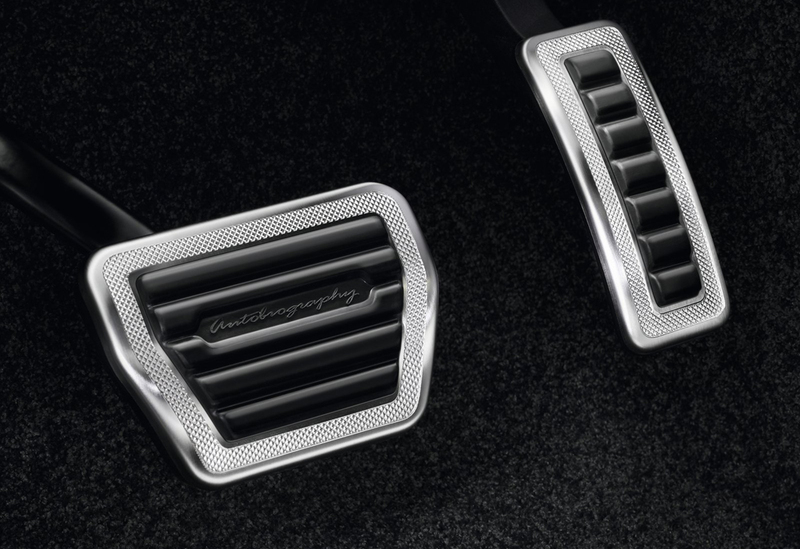 The foot pedals bear the same attractive looks. 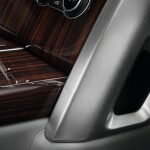 Such detailing can be seen in the front as well as rear of the centre console. 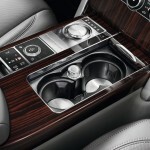 Unique materials have been used for the socket covers and cup holder area. 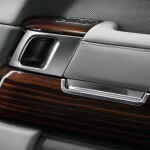 The armrests adjusters too have the similar machined detail. Besides, they can be used more easily now. The luxury continues in the rear of the cabin that has been equipped with powered tables that are deployable. 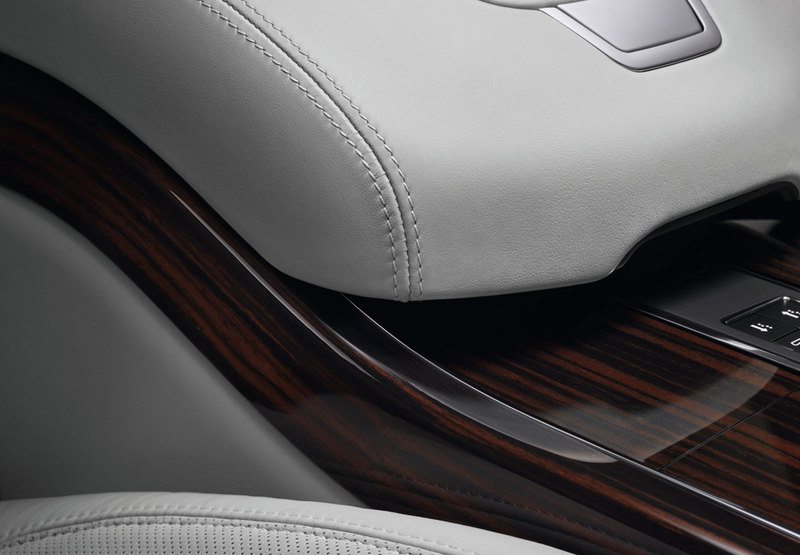 The chiller compartment further enhances the comfort. The rear pillars have been given coat hooks crafted form solid aluminium. 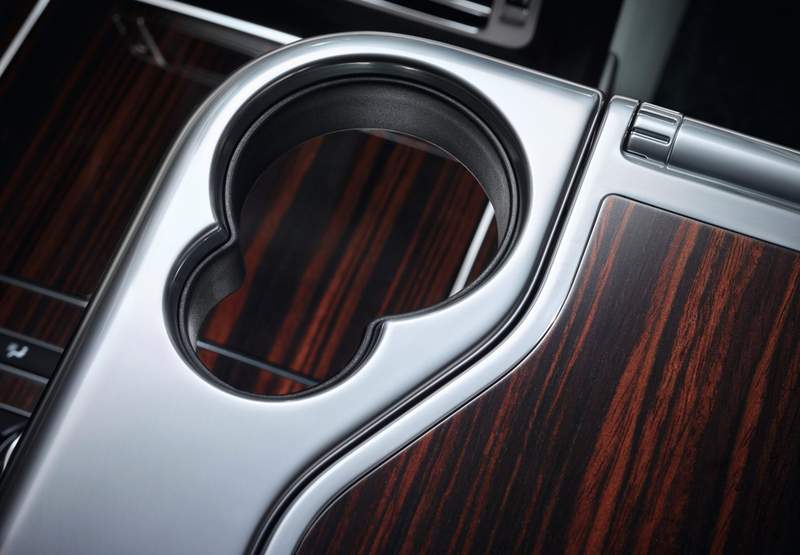 The floor has aluminium seat rail finishers and mats that boast deep-pile mohair. The handbook is wrapped in leather. The polished key fob has knurled finish. Sliding loadspace is available for the floor. 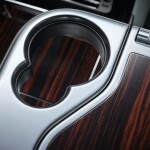 Here too, the company has used aluminium along with some options for veneer. 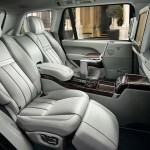 The floor has been extended towards the rear for providing the best possible practicality. 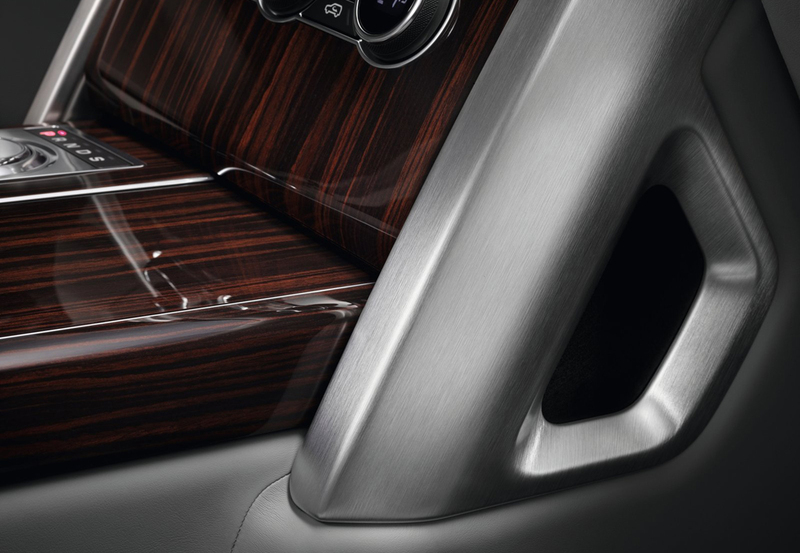 Thanks to the smart engineering, owners can load and unload with utmost ease. 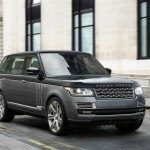 Range Rover has a surprise for customers who like the versatile split tailgate. Special Vehicle Operations offers the facility of Event Seating. 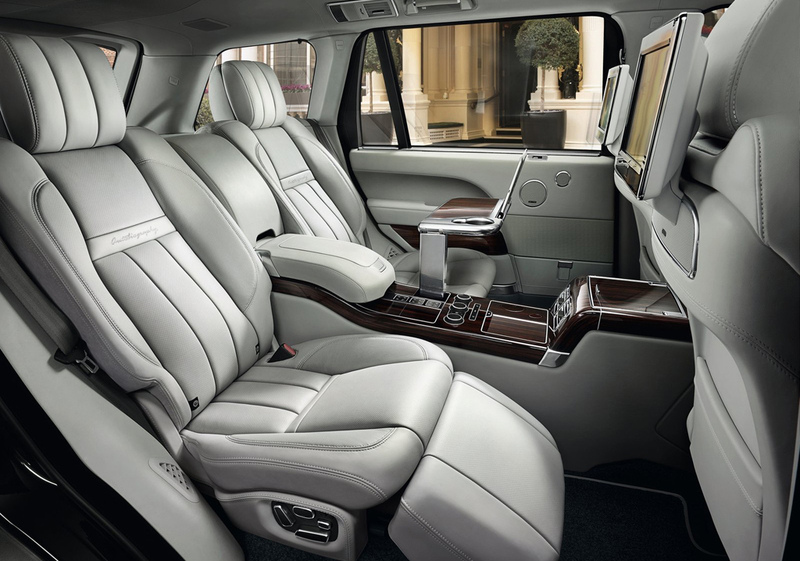 The luggage compartment stores Event Seating which can be deployed very easily and quickly for comfortable seating and can accommodate two adults on tailgate lower. 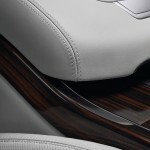 Windsor leather has been used and beautiful stitching can be seen along with aluminium frame that is highly durable. 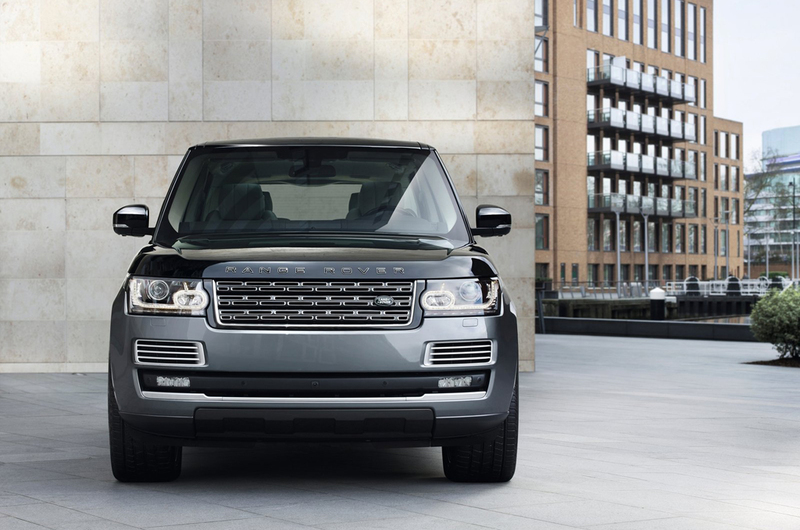 The Supercahrged V8 engine that powers Range Rover SV Autobiography 2016 makes it the mightiest Range Rover to be ever manufactured. 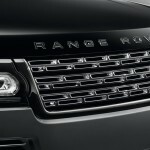 This 5.0-litre unit is all-aluminium and churns out a thrilling 550 PS power and an equally impressive torque of 680 Nm. 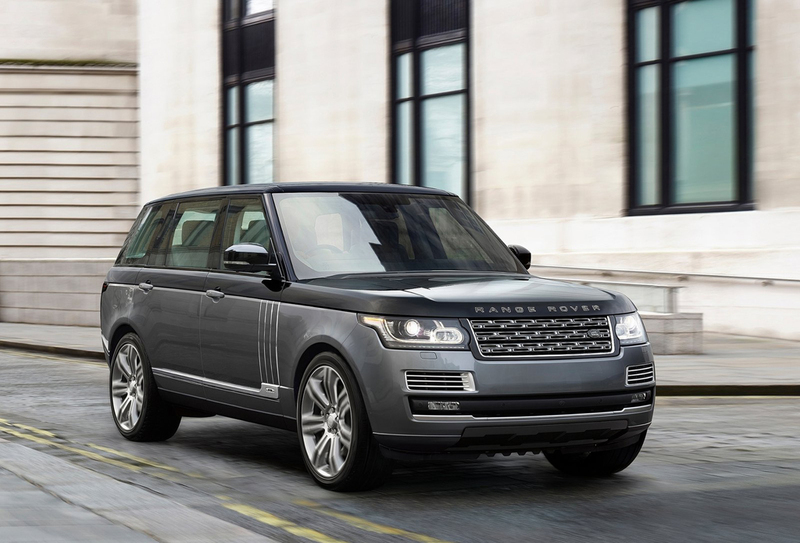 With these figures, the new Range Rover has an additional power of 40 PS, while the torque is up by 55 Nm as compared to the present Supercharged V8 derivatives. The reason behind such amazing performance is the management system – Bosch engine. 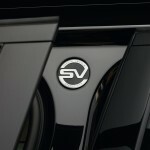 Yet another contributor is new electronic bypass valve of Roots-type supercharger that features twin vortex. The electronic bypass valve has been re-tuned for enhancing the boost pressure at the time of high-performance driving. 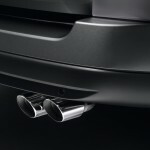 The exhaust system too is new and has unique looking chrome tailpipes that are quad polished. They ensure that the flow rates are optimal. 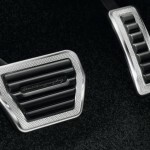 The eight-speed ZF automatic transmission still gives smooth gear changes. The remarkable feature of adaptive-shift logic continues as well and it adjusts intelligently to the behavior of the driver. 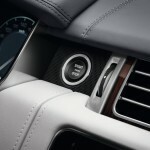 The transmission is controllable through paddle shifts that are mounted on steering wheel. 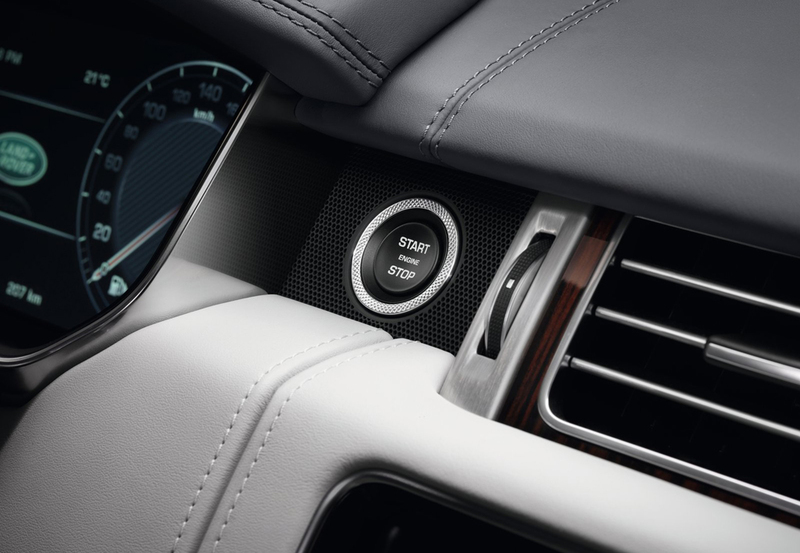 Such technology ensures a great combination of driver engagement and refinement.